Finding ways to save on the costs of vacation is really important to me. After all, I don't have an endless supply of cash for traveling, and I'm sure you don't either. That's why I always look for cost-cutting tips when planning my next trip. 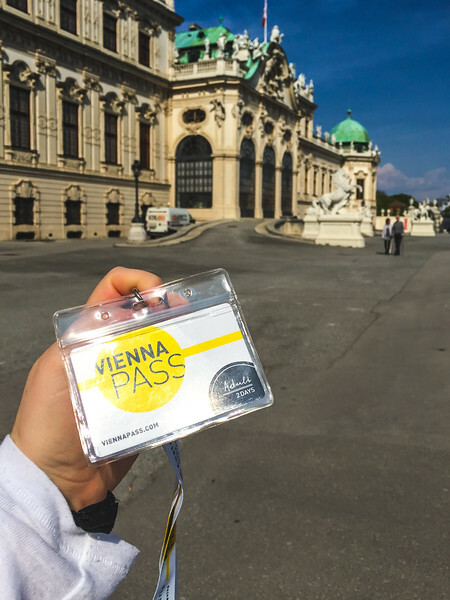 While researching our trip to Vienna, I came across the Vienna Pass. One look at the long list of attractions included in the savings pass and I knew the Vienna Pass was our ticket to considerable savings. Disclaimer: This content was sponsored by Vienna Pass though my opinions are my own. Some of the links included in this post are affiliate links. By purchasing products using these links, you can support a Cajun in Cali at NO cost to you. Getting the goods you want while showing support is the best of both worlds! 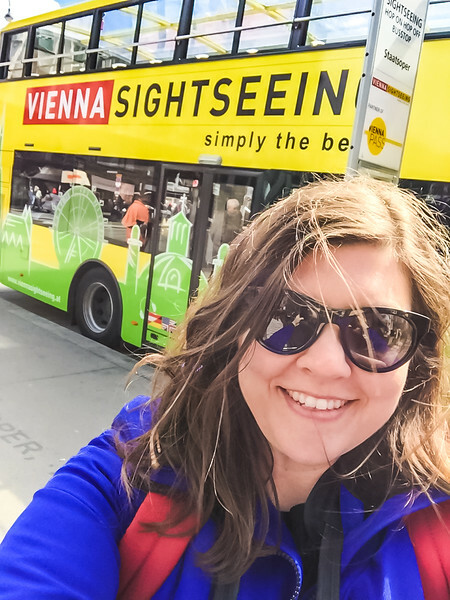 The Vienna Pass by Vienna Sightseeing includes free admission to over 60 attractions, including many of Vienna's most popular sights. Pass holders will also get fast track entry to some of the most popular attractions, including The Prater (Giant Ferris Wheel) and more. How Much Does the Vienna Pass Cost? Prices vary depending on the number of days you wish to purchase. Day passes start at 59 Euro per adult (29.50 for juniors ages 19 and younger), but you can save significantly if you purchase longer passes. Plus, children under the age of 6 get free admission to attractions as long as they're accompanied by an adult with a Vienna Pass! 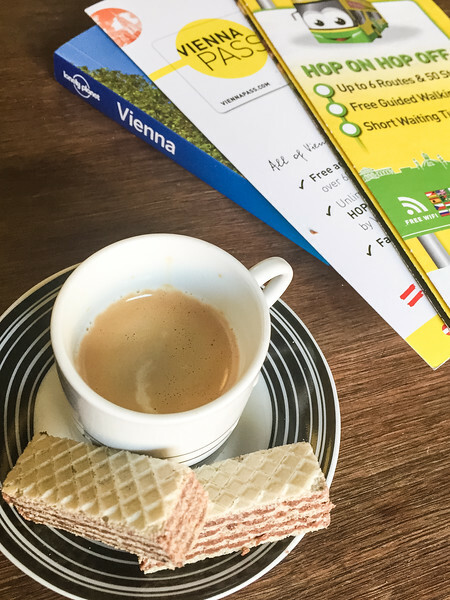 Each pass comes with a helpful guidebook, plus an extra coupon book filled with more ways to save on attractions throughout Vienna. 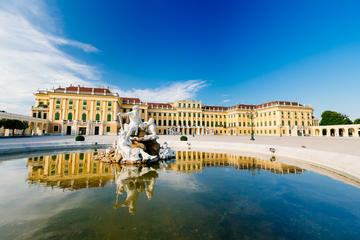 It features discounts for the Schonbrunn Zoo, the Schonbrunn Panorama train, audio guides at the Albertina and Leopold museums, gift shops, retail stores, restaurants, and more! Another bonus is the Vienna Travelcard, a handy public transport pass! For just a few bucks extra, you'll get access to the U-Bahn (subway), trams, buses, and S-Bahn (commuter rail). This will come in handy if you're planning to stay anywhere outside the city center. 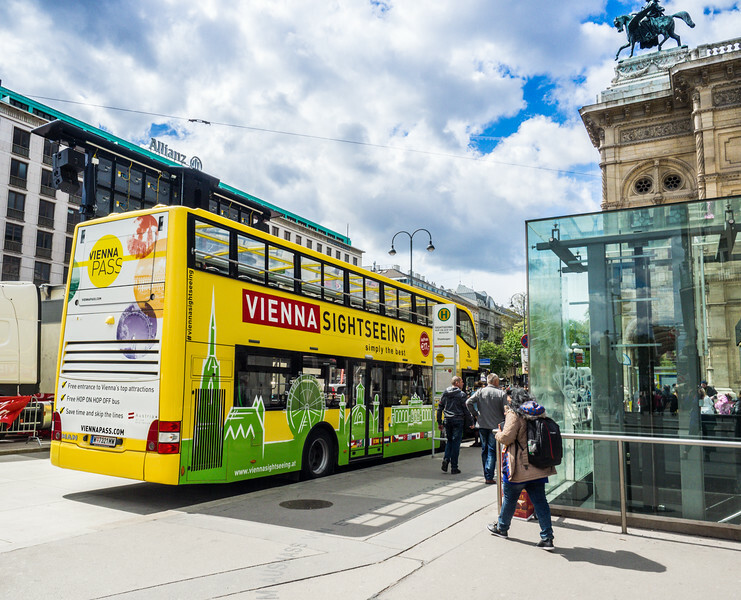 How Much Can You Save with the Vienna Pass? The Vienna Pass Customer Service Center is by far the easiest place to pick up your passes. 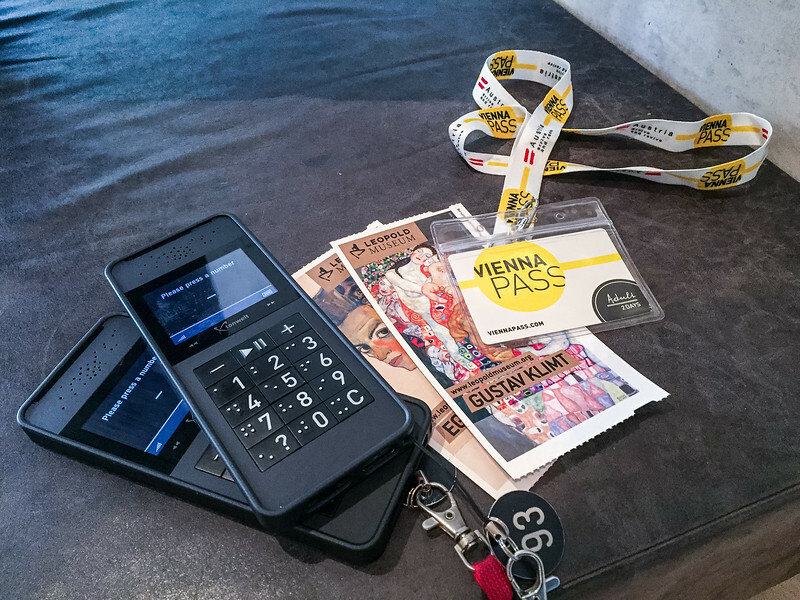 Located in the underground station opposite the State Opera House (Opernpassage), you'll find the helpful staff of Vienna Sightseeing ready to help you select a pass that best suits your travel needs. 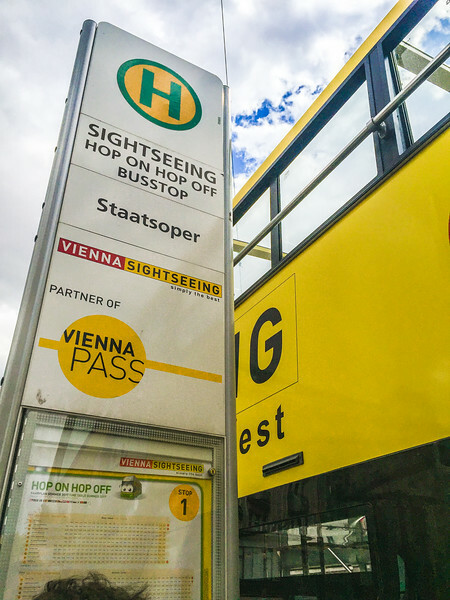 One of the best reasons to purchase a Vienna Pass is the unlimited access to the Hop On Hop Off buses! Each bus is equipped with free Wi-Fi, which makes posting to social media a cinch. 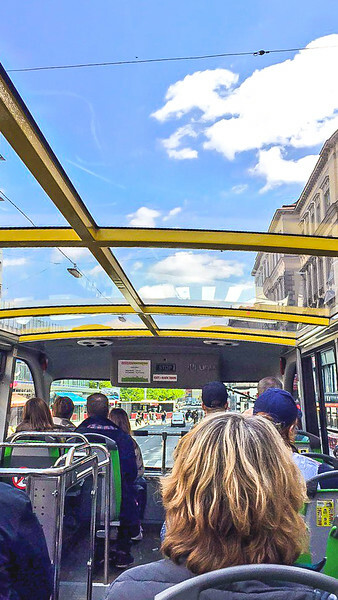 With 6 lines and over 50 stops, you're sure to find your way around Vienna. Just outside the Opernpassage is the Hop On Hop Off Bus stop. 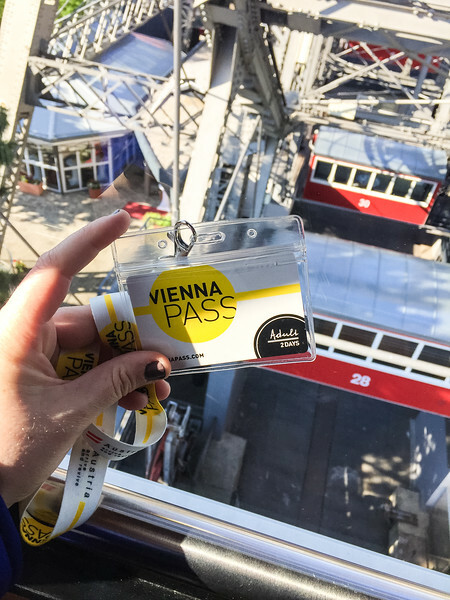 You'll be able to catch the bus and start on your adventure right after picking up your Vienna Pass! 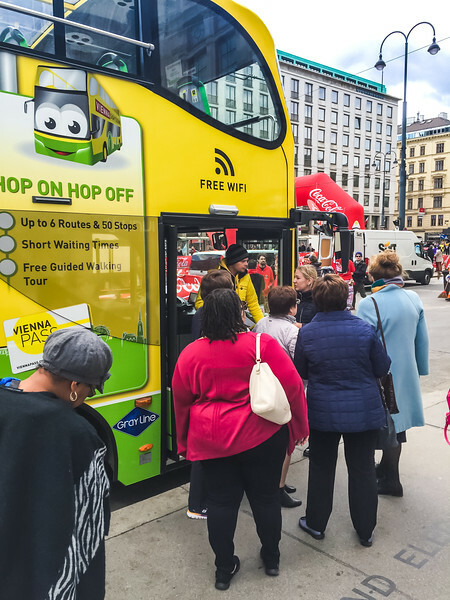 Vienna Pass holders should take advantage of the information channels while riding the Hop On Hop Off buses to learn more about the history of Vienna. Channels are available in multiple languages. Plus, they even offer a children's channel that's sure to keep the little ones occupied! One thing to consider when planning your itinerary is the frequency of the buses and the routes. Each route is designed to give you easy access to select attractions. And while you can switch routes, the frequency of the buses may make that difficult or time-consuming. I suggest identifying the specific attractions you wish to see along each route and focusing on those attractions that day. Consider downloading the Vienna Pass app to get offline access to a handy map of the city complete with Hop On Hop Off bus stop locations! Don't Miss My Other Great Vienna Guides!